And now for a modern day Irish woman. Mairead Maguire was born in Belfast, 71 years ago today. Her entry into the world of political protest did not come without a price. A family tragedy in 1976 fueled her desire to bring change to her war torn community. Her nephews and niece were hit by a car when the driver (a (P)IRA paramilitary) lost control of it after being shot by the authorities. Betty Williams, a witness to the accident, capitalized on the tragedy using it to gather women in the community to march in protest of the ongoing violence and paramilitary activity in their neighborhoods. Mairead joined her. It was a surprising success and “Women for Peace” was spontaneously born. The second march that went to the graves of the children took place only a few days later and it included over 10,000 women—both Catholic and Protestant—an unusual feat in such a polarized place and time. It was attacked by the paramilitaries which only brought the women more press and support for the next march and the movement continued to grow. Mairead and Betty changed the name of their group to the gender-neutral “Peace People” and they continued to parade for peace between Republican and Loyalist factions. 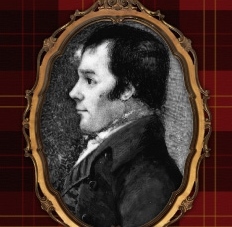 On Burns Night, the poetry should flow freely, the pipes should play loudly, and there should be at least one Ode to a Haggis. You can blame the Scotch for that. If you can find a Burns Supper where you are, I recommend going at least once. Today we raise a pint of the good old black stuff to the man himself–Arthur Guinness–whose full life came to a close on this day in 1803. 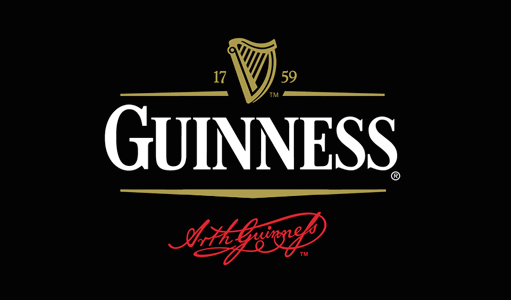 Arthur Guinness is the founder and creator of Guinness brewery, and though he did not create the dark stout that the company is now famous for, he was responsible for signing a 9,000 year lease, guaranteeing that the brewery would always have a place to operate in Dublin. This permanence allowed for funds to be allocated for experimentation and distribution and he made sure to do both. He was already a master brewer and his creations resulted in a decent porter coming to the city and a load of devoted ale drinkers. They called him Uncle Arthur for much of his life. He and his (poor) wife Olivia had 21 children, half of whom lived, but none of his descendants are directly involved in the brewery business at this time. Still, his signature flourishes can be seen on every can or bottle that the company produces and his legacy is honored in Ireland and around the world to this day. A recent offering, the 1759, is a 750ml bottle of Guinness Ale–not Stout–that is based on recipes from that time. It is likely the closest we’ll get to Arthur’s own creations in this day and age. The brewery has been transformed into the number one tourist attraction in Dublin, and though visitors don’t get to see the inky stout being made, they do get the history of the brewery, a look at the longest lease ever, and one of the greatest views in Dublin. Today I’d like to personally thank Uncle Arthur for one of my favorite adult beverages on the planet, because even though it will never taste the same outside of Ireland, without him, it may never have reached our far shores at all.